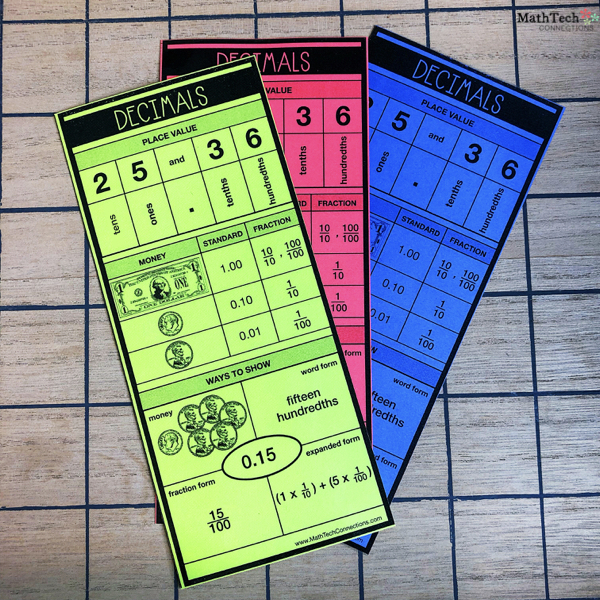 In this blog post I will share with you some ideas on how you can use money to introduce decimals. 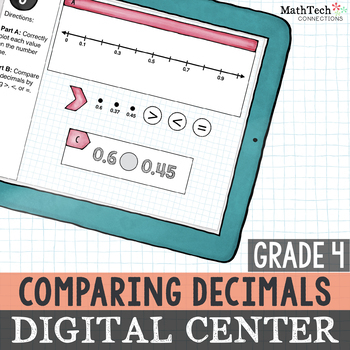 You will also find a free printable you can use during guided math groups to compare decimals. Below are the standards that are covered in the following activities. 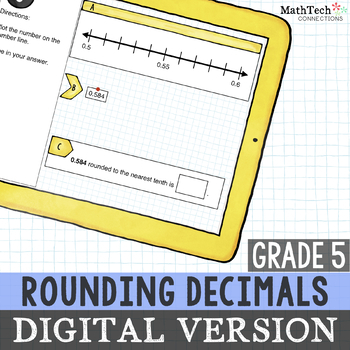 4.NF.7 – I can compare two decimals to the hundredths place by reasoning about their size. I can justify the comparisons by drawing a visual model. 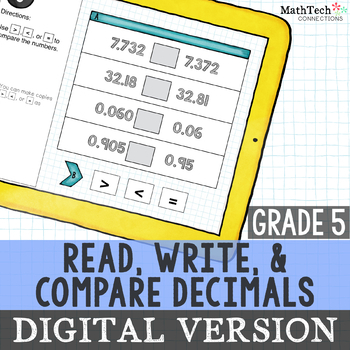 5.NBT.3 – I can read, write, and compare decimals to thousandths. 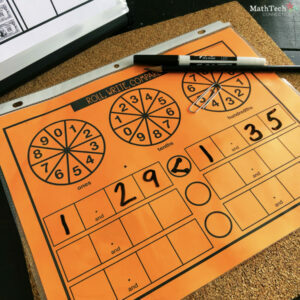 The following free math printable can be used to model different ways to represent a number. 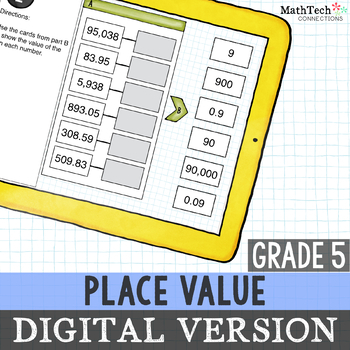 The version below includes standard form, word form, fraction form, expanded form, and money. A blank version is included in the download. 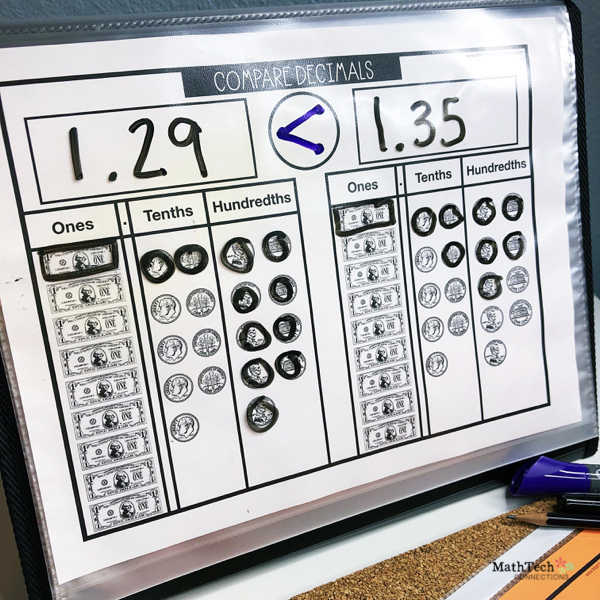 The following activity can be used during small groups to introduce comparing decimals. 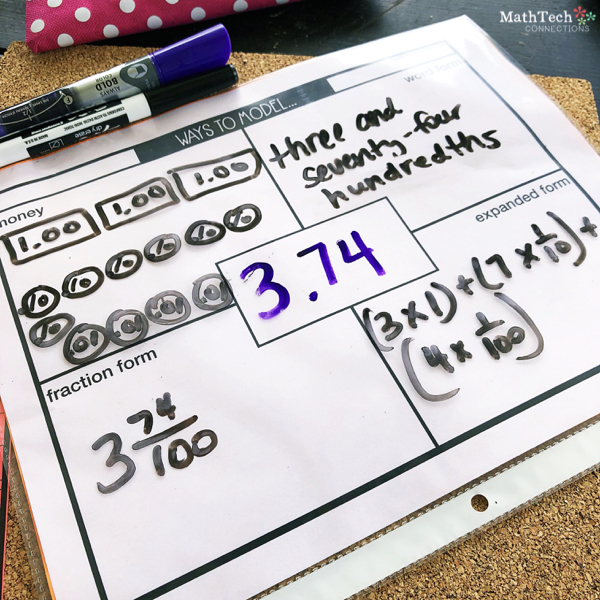 Students roll a number, model the number using money, and compare the numbers. A blank version is also included in the free download. 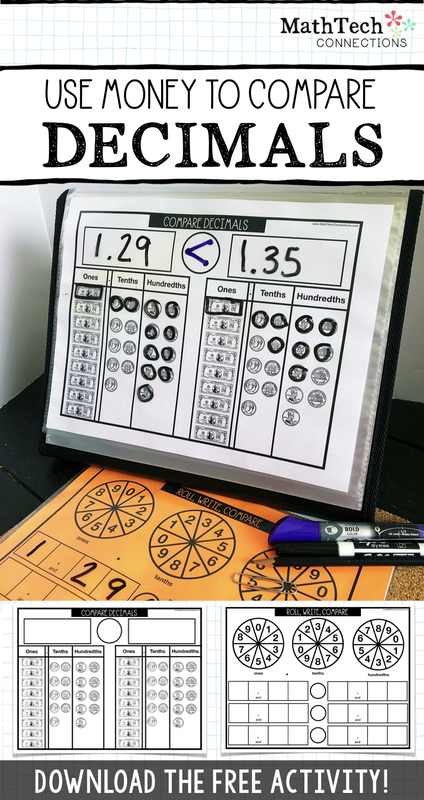 Don’t forget to place the activity sheets inside sheet protectors! Fifth grade students will enjoy the following cut and paste activity! 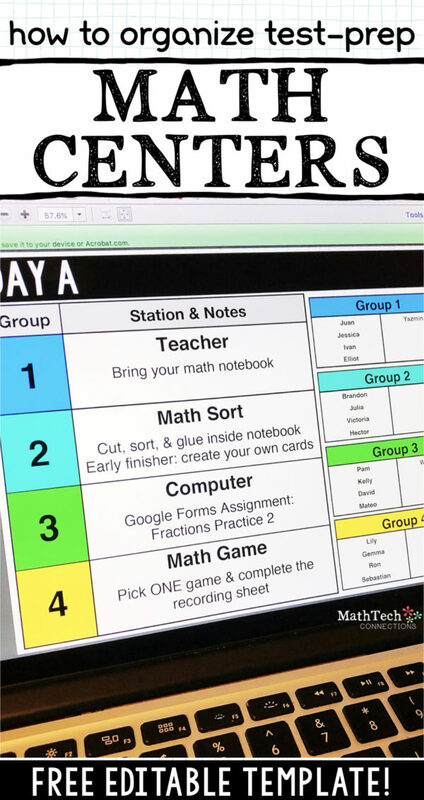 The following math sorting activity can be found here (click to view). Simply fill out the form below to receive the free printables. Already a subscriber? 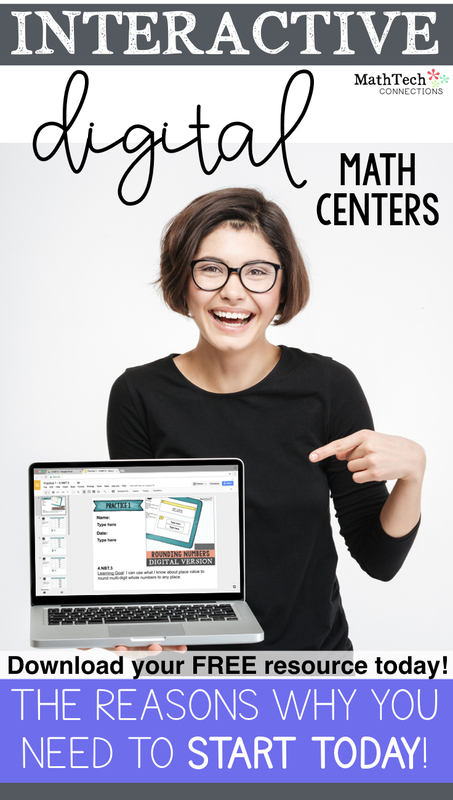 Visit the resource library! The following resources are interactive Google Slides. 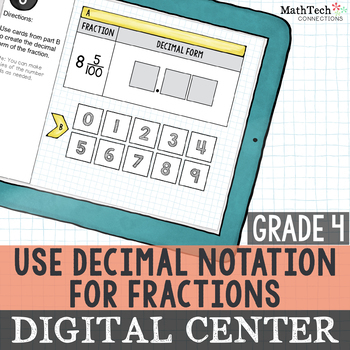 Don’t have Google Classroom? No problem 🙂 Each set also includes a PowerPoint version.